But despite the popularity of “Netflix and chill” at-home streaming sessions, some filmgoers say the romance is far from dead: at one rural spot in Virginia, moviegoers looking for a trip down memory lane can get their fill of popcorn while enjoying a double feature under the stars. 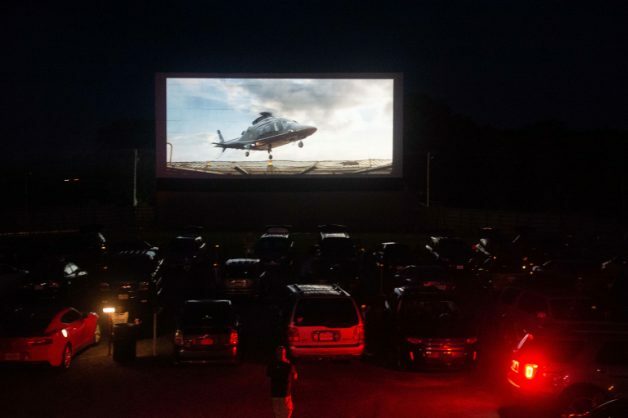 The Family Drive-In Theater in Stephens City — 135 kilometres west of Washington — is one of just 300 drive-ins still in operation stateside, down from 4 000 such cinemas in the 1960s when the concept peaked, becoming intrinsic to the fabric of classic Americana. Two films cost $8 (R115) and kids get in half-price at the dog-friendly venue, which opened in 1956 and is now the only drive-in left in the region. “This is very financially beneficial for us as a family,” said Debbie Williams, who came to the show with a pack of kids. Owner Jim Kopp says he’s added contemporary features like FM stereo sound and digital projection to bring his Virginia drive-in in step with the times. Once a month Washington’s Union Market caters to those looking to scratch a nostalgic itch, screening films for people with cars as well as viewers with picnic blankets. Perched on her family’s 1968 Bronco truck for a showing of Black Panther, Crittenden says heading to the drive-in “seems like a special occasion”.